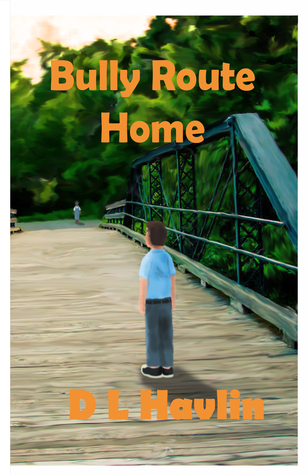 Bully Route Home by DJ Havlin is a coming of age story. It follows Robert William Robertson, aka “Pooch,” as he learns some of the hard lessons of life including racism, standing up for what’s right and learning how to handle different situations. As he does tasks that seem mundane such as taking a catfish off a hook, he is taught valuable life lessons. The story focuses on the effects of racism on a small town in a time where hatred ran rampant. As Pooch tries to avoid a beating from the bully, he inadvertently creates chaos within the town. He finds a new friend in Carver, a black boy from the “quarters”, and in turn Pooch’s father hires Carver’s father as a supervisor much to the dismay of the town. The after effects of Lee’s decision effects not only Lee and the plant but also the children at school. Havlin provides an honest and uncensored look at the negative aspect of the human species. Pooch is a young man full of innocence and naivety. His opinion of a person doesn’t stop at the color of his skin. This viewpoint within a young child and his father spark a rebellion within the town. While Pooch is learning lessons of life and growing up faster than he should, readers are learning as well. This is a book that will cause readers to think. The book is beautifully written and addresses a subject that too often we are afraid to address. While the novel uses certain language, it is done tastefully and in a manner that portrays the viewpoint and culture of the time being depicted. The characters are complex and grow with depth as the book progresses. Pooch is an incredibly strong character with strong moral values. He doesn’t intend to spark change when he befriends Carver, it just inevitably happens. Throughout the town struggle we see the harsh reality of hatred. Havlin portrays this marvelously through not only dialogue, but the action of the towns folk. I found myself worrying about the Williams family and hoped to have seen more of Carver throughout the hardships. I enjoyed Rebecca’s character as well. While we seen the negativity of human character through many characters, we also see innocence and purity in Rebecca, even when she wants to fight those who challenge her. Lee Robertson is another strong character supporting his son, and displaying the beliefs and actions he wants him (Pooch) to learn. He risks everything to do the right thing and doesn’t back down in the face of adversity. He wants Pooch to learn to the same values and while he seems a strict parent, he does what he thinks is best for all his children. He reminds me a lot of Atticus Finch, fighting for what is right and enduring the aftermath of his decisions. Havlin’s descriptions are elegant and on point, he doesn’t spend too much time with fluff. His words are direct and to the point. He knows exactly the right words to say in order to expertly evoke emotions from his readers. I cannot begin to say how times I wanted to cry or gasp out of surprise. There were other times when my heart just sank at the actions of one human towards another. DJ Havlin takes one of the dark shadows on our history and brings it to life, brings it to reality. We all heard the stories in school; DJ Havlin’s novel makes it all too real. He doesn’t shy away from the horrors one group of people caused another. It became a story something different from what I was expecting. This is definitely a book that needs to be read just as much as Mark Twain’s Tom Sawyer or Harper Lee’s To Kill A Mockingbird.